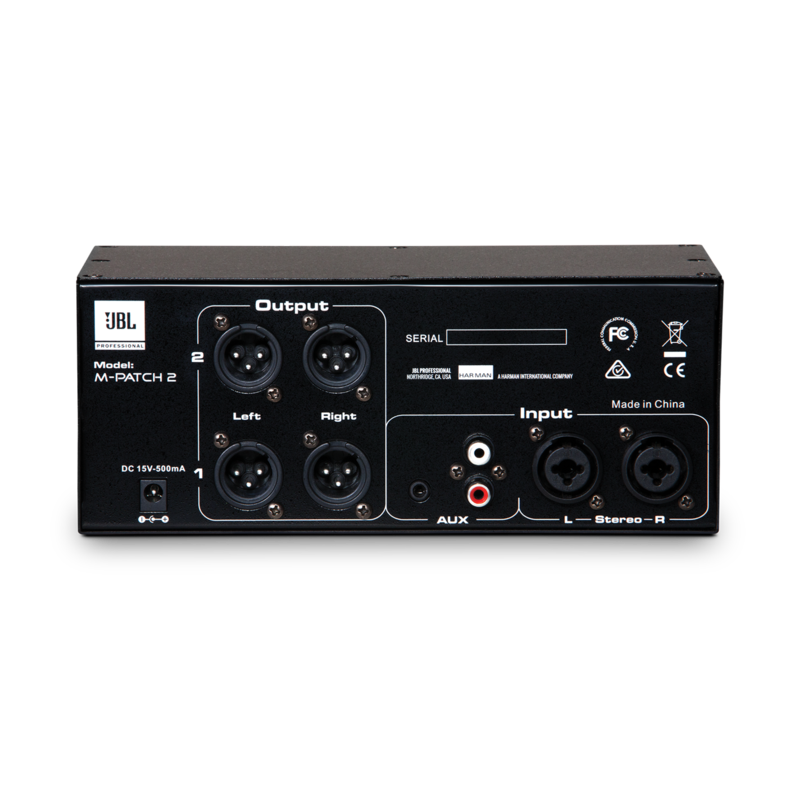 The M-Patch 2 is a compact desktop/rack-mountable sized passive volume attenuator and patch control device. Building on the success of the original M-Patch, the new M-Patch 2 is a feature packed passive problem solver for nearly all production environments. 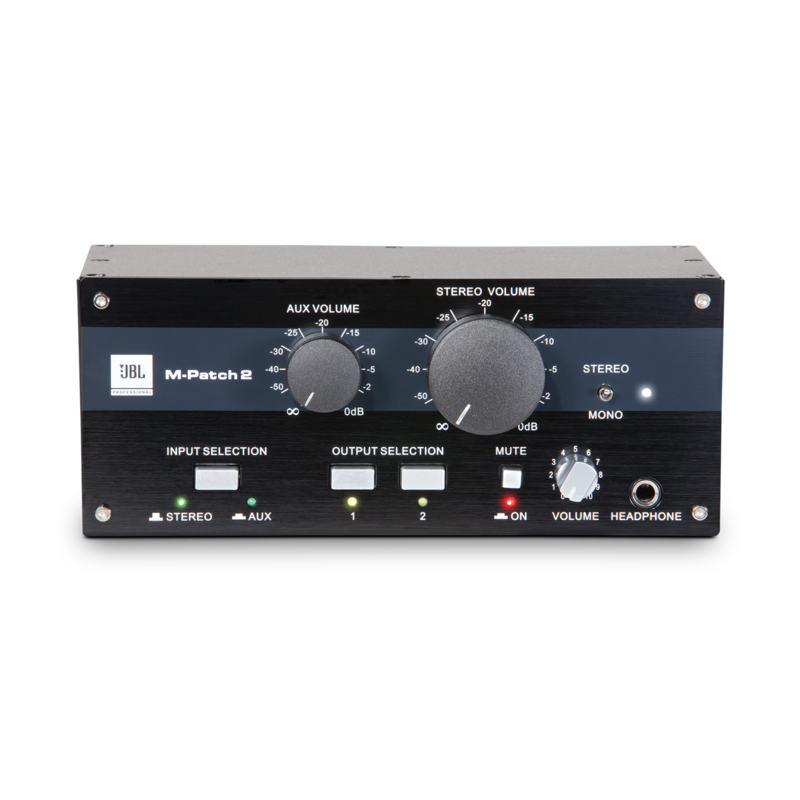 A great way to passively attenuate stereo signals from soundcards, CD players, pre-amps, and mixers, the M-Patch 2 front panel rotary controls allow precise level adjustments for two input sources. Featuring balanced combo XLR/TRS input jacks and XLR outputs, RCA & 3.5mm jack inputs, mono/stereo summing switch, Mute switch, A/B output pairs, and a built in stereo headphone amplifier, the M-Patch 2 has all bases covered. No more bit loss! One of the benefits of passive volume attenuation is that you no longer have to control volumes with your software master volume fader. Reducing audio levels from software only reduces your bit depth. It is much more appropriate to keep your software masters at unity and passively attenuate the audio to your active monitors. No active circuitry, buffers, transistors, batteries, or power supply of any kind can interfere with the main passive output of the M-Patch 2. It simply delivers attenuated signal. That's it.. pure, simple transparent. The M-Patch 2 is a true problem solver. It will work seamlessly within your system, is very transparent and silent. You will now be able to keep your bit levels up in your system, eliminate using your mixer, and keep all volumes at an acceptable level. This is a very handy tool for a wide variety of applications.